One of the best diving sites in the world, Maldives is blessed with turquoise blue waters and rich coral reefs. 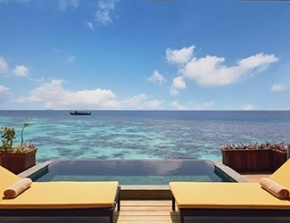 With bright blue skies and all-year sunshine, the island of Maldives enjoy a tropical weather of 24~33 degrees Celsius. 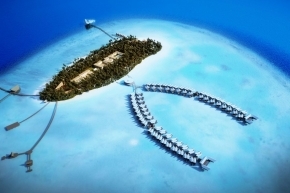 Paradise Island is located at North Male’ atoll, with white sandy beaches all around boasting the excellent marine life. This stunning resort provides excellent services, comfortable rooms, private balconies facing the Indian Ocean, and wide range of land and sea sports available for their guests. Not forgetting their bars which include the 24-hours main bar with disco floor that serves alcoholic and non-alcoholic drinks and wide varieties of cocktails. This is not a place that you would want to give a miss!